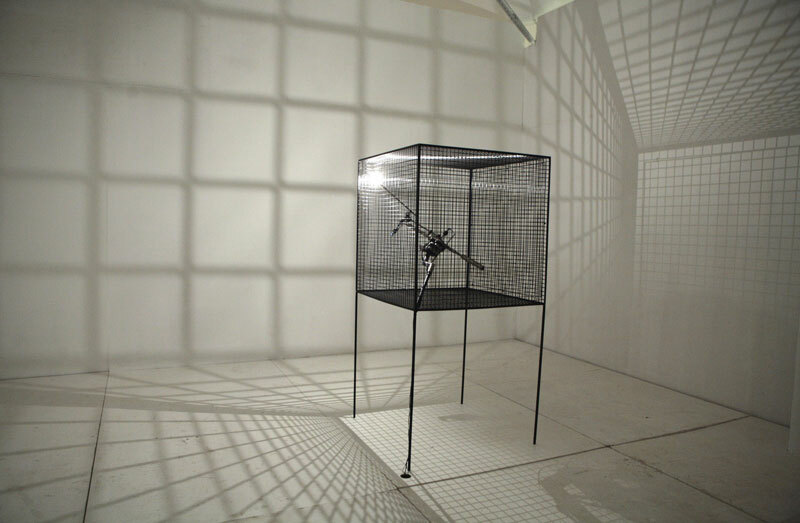 Slow arc inside a cube is inspired by a description by the scientist Dorothy Hodgkin, responsible for working out the structure of pig insulin, a complex protein chain. 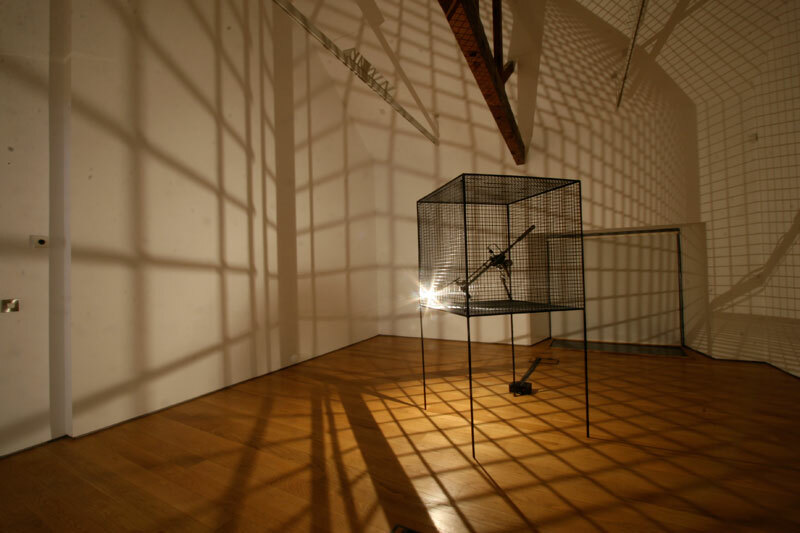 Hodgkin did this by pioneering a technique called crystal Radiography, and compared the longwinded process of extrapolating the dense protein cloud from reams of chromatographic grids to trying to work out the structure of a tree from purely looking at its shadow. 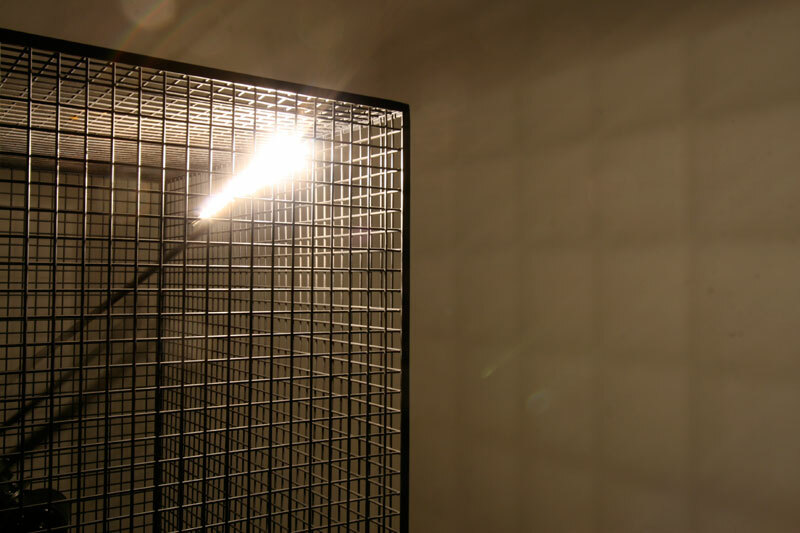 It is similar, of course, to Plato’s cave. 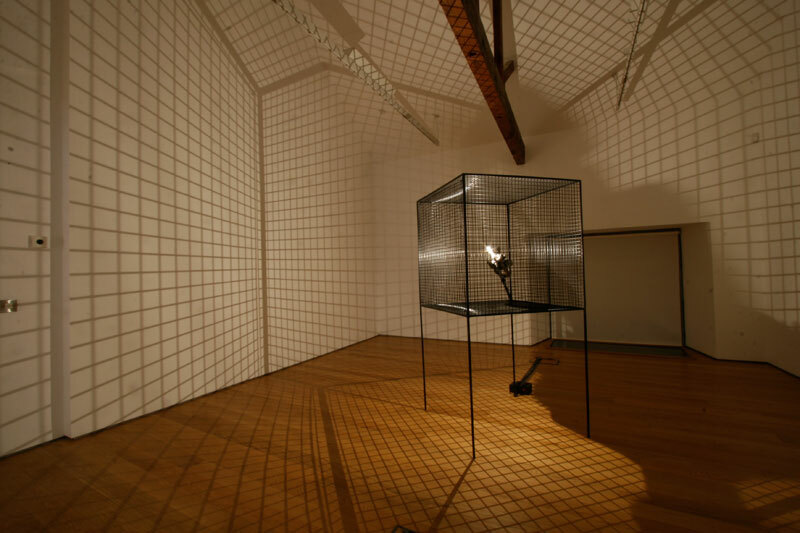 The piece is the first in a series of works where a small but brilliant halogen light, on the end of an articulated arm, travels diagonally from one corner of a cube of mesh to its opposite side, the path it draws being not quite straight but slightly bowed. 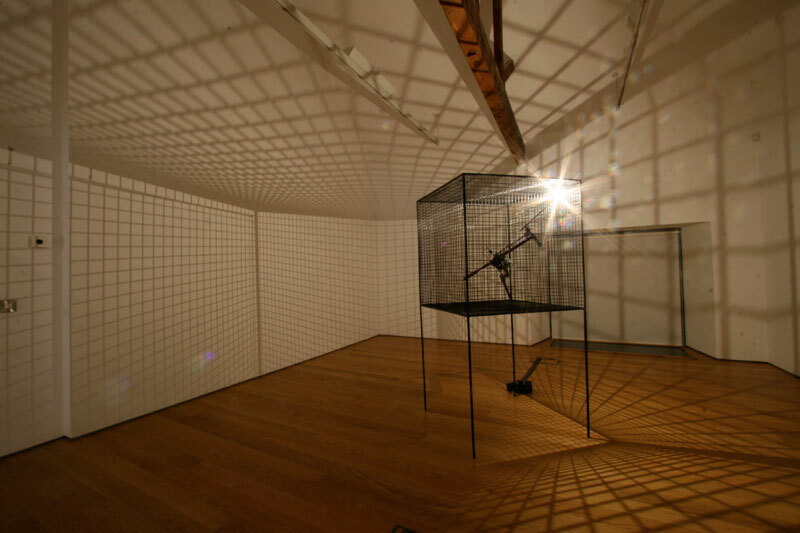 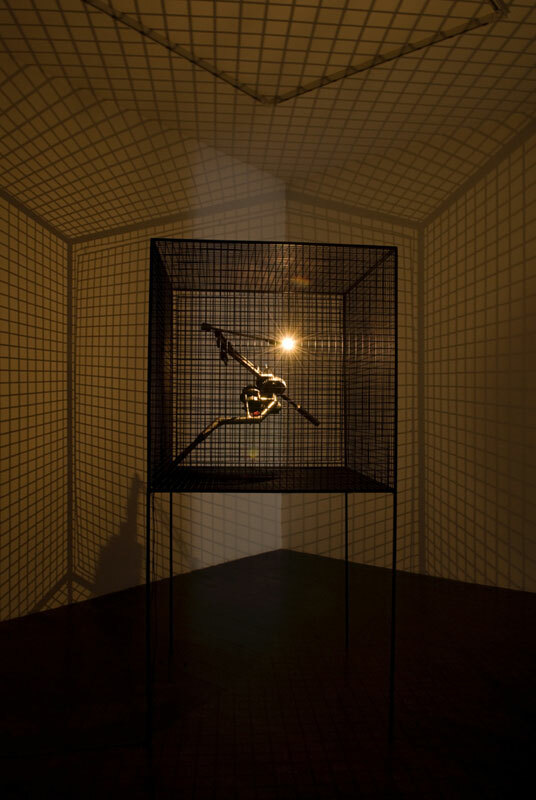 The piece is about the relationship between the moving point source of light, the cage, which is the only constant, and the changing shadow of this constant projected on to the walls of the space. 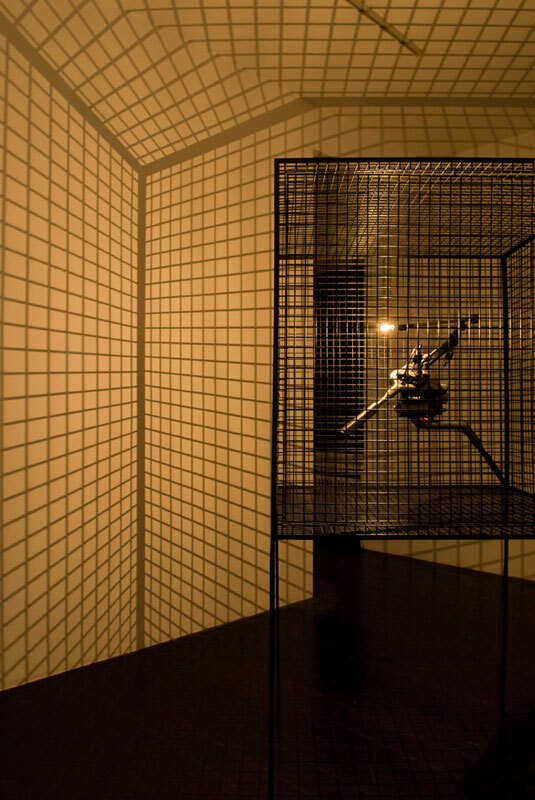 It is the shadow of a cube, but it is not a silhouette but a shadow from within itself, maybe an inverse shadow is an effective way to describe it.